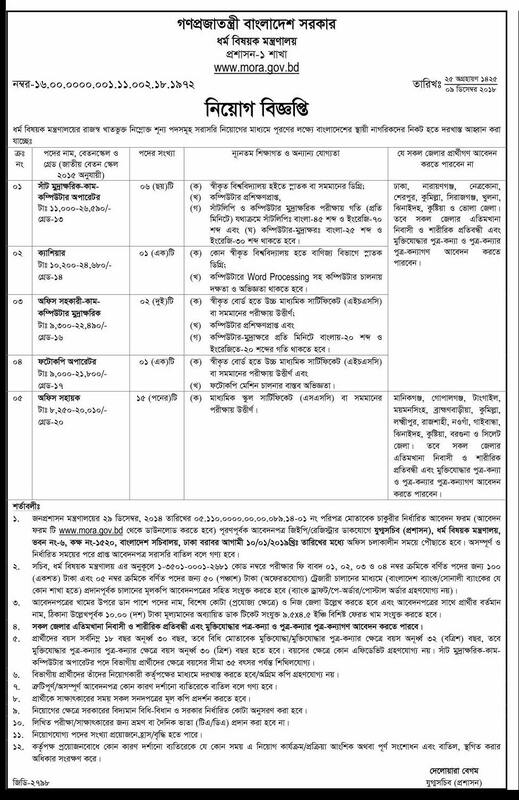 Bangladesh Ministry of Religious Affairs announced a new Job Circular 2018 This dhormo montronaloy circular published by the government official website site www.mora.gov.bd. They asked some educated people for many belong post. if you are ssc, hsc,jsc psc, then you can apply to the jobs. you will get ministry of religion job related all detail in edujobbd.com. here you can download mora job application from jpge or pdf file. also available all govt jobs circular in 2019. now see bolow for dhormo montranalay job specification. Job Published date: 12 December 2018. Online Application Deadline: 10 January 2019. Job Sector Name: Ministry of Religious Affairs (MORA). Application Fee – 100 Taka only. Online Applications Starts: from December. Educational Qualification: SSC, HSC AND JSC. How to apply: Read the new govt job circular. For more mora job information see The original circular. I think you read our recent government job circular. now candidate can apply to the full time job very simply. 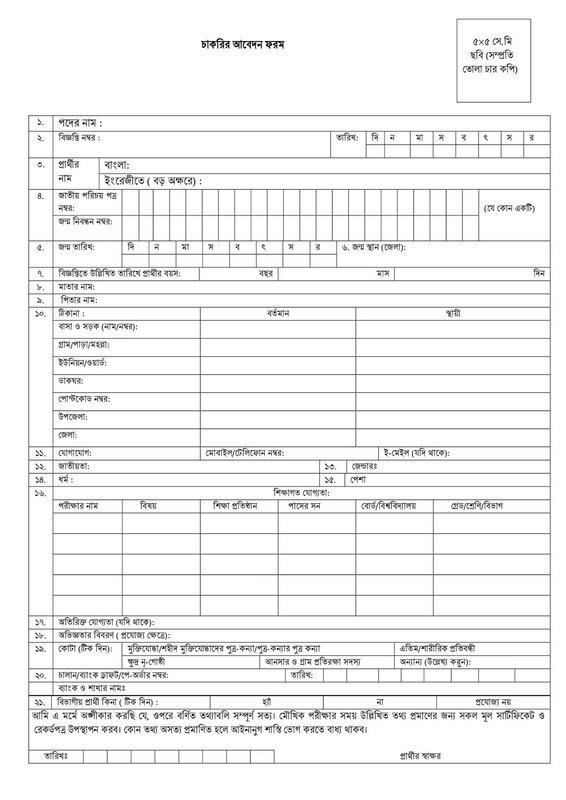 if you have any problem to form fill up the dhormo montronaloy job application form or reading circular. then comment below.